Short engagements are the new norm and I’m so here for it. I’ve gotten so many excited “I got the ring!” calls and then invites to the wedding in just a few months or even weeks. This is a big change from the traditional year engagement, or even longer. Historically, people have waited that long because they need the time to plan the wedding. But, there are definitely ways around that. 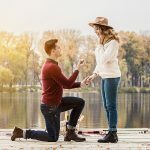 Couples are doing short engagements more and more and here’s why I think it’s a good idea. I’m a romantic and adore a good wedding. Honestly, I even adore a bad wedding. Love makes me happy! But, the point of a wedding is the actual marriage and something’s happened recently where the wedding has become such an event – with over a year of planning and huge amounts spent – that the marriage seems to take a back seat. That’s not right. 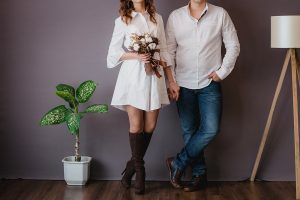 A short engagement typically means a much more reasonable wedding that doesn’t have the time to mushroom into a massive to do that overshadows the legit reason you’re celebrating. Basically, I’m all for throwing a great party. But, focus on the great life you’re building first. And maybe spending all of your money on one night isn’t the right way to lay the foundation for that building, you know? Weddings come in different shapes, sizes, themes and price tags. But, the one thing that all weddings share is some level of family drama. There’s always someone who wants a plus one or a mother who needs her friends to be there or a brother who won’t come unless its kosher or another person who refuses to step into a church. Feelings get hurt during the wedding planning process and the longer it goes, the more likely you are to hurt more of them. 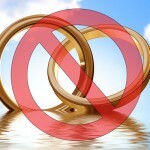 Do everyone a favor – especially yourself – by keeping the wedding planning period short. You’ll minimize comments from the peanut gallery and the friction that comes with those comments. I am such a huge believer in when you know, you know. Intuition and gut feelings are super important to every aspect of my life, and I think they should be the guiding factors to everyone’s decisions when it comes to love. Some people advocate for long engagements so you can get to know your partner and feel your relationship out. But, if you said yes to marrying someone, you should know you’re down for the long haul, right? Decision made! Trial period over! To me, an engagement is a holding period and who wants to dwell in uncertainty like that? You already know what’s right for you. Don’t delay. Get to the rest of your life already! And, guess what? All of those short engagement weddings I’ve been going to have be just as fab as the year-plus engagement weddings. As a guest, you don’t miss anything and as the couple, I think you have a lot to gain.